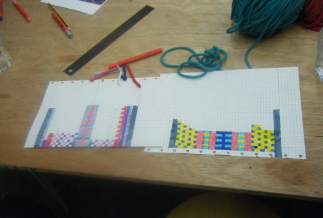 As part of a heritage craft project at the Arts Centre in Great Linford, 8 of our Year 5 students have been lucky enough to be offered the opportunity to take part in a 5 week weaving workshop. As well as gaining a new skill the children will learn and explore where the weaving style originates from. To find out more about the exciting exhibitions, live events and educational activities Great Linford Arts Centre provide please see their website.